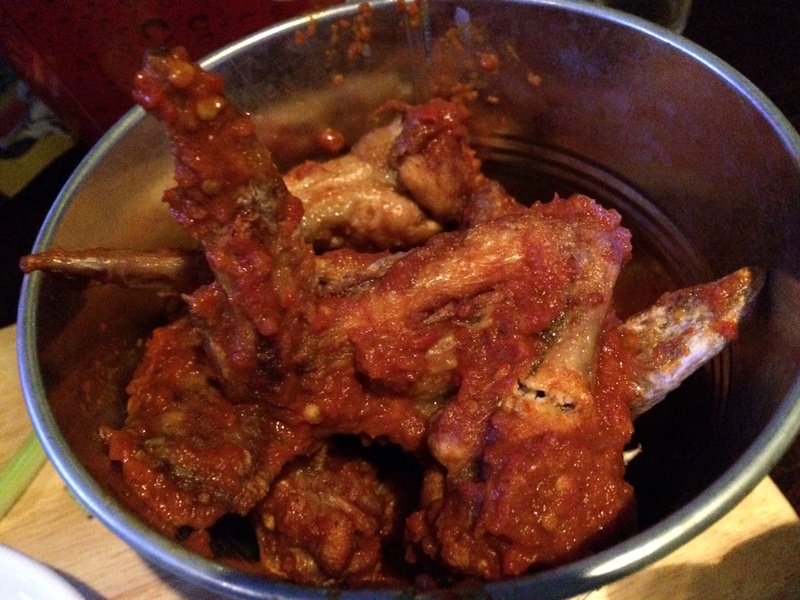 One of the dafter things I did in my younger days was to take part in a 50 wing eating challenge at the since deceased Sports Café, a boisterous Central London (you guessed it) sports bar that was something of a mecca for NFL obsessives before American football had gained any kind of foothold in the UK. As mentioned, the Sports Café recently closed it doors, but the prime bit of real estate it occupied on the Haymarket got a new lease on life after it was snapped up by the Rileys chain. The concept is virtually identical: lots of pool tables, and lots and lots of big TVs. Settling in for a long night of drinking overpriced £5 Bud Light and ruing Tom Brady’s rapidly deteriorating accuracy, the short menu featured a predictable selection of burgers, dogs and – yes – wings. Unfortunately, the menu descriptors were about as good as it got. Buffalo wings, which you’d imagine would be the staple offering (especially when catering to a Yank-heavy NFL crowd), were perplexingly off on the night. So I did what any self-respecting yob would do after a few pints and ordered the “Hellfire” variety. A very long wait later, a bucket of something vaguely resembling poultry bits arrived, smeared enthusiastically but unevenly in the “Hellfire” sauce. Yes, it was hot – very hot, even. But it was also utterly flavourless, an impressive achievement given most high impact chillis (habaneros, nagas etc) boast a superb fruity flavour. The wings themselves were an even bigger crime against chicken – limp, soggy skin (possibly due to rabid application of said bum-burn paste) disguising a mass of bone, gristle, and the odd bit of stringy meat. The best that could be said about the overly-processed blue cheese dip was that it sort of masked the rest of the horror show. It made me yearn for the good ol’ Sports Café days, when the wings were far from best in class, but at least had a decent sauce and some crunch on the outside. 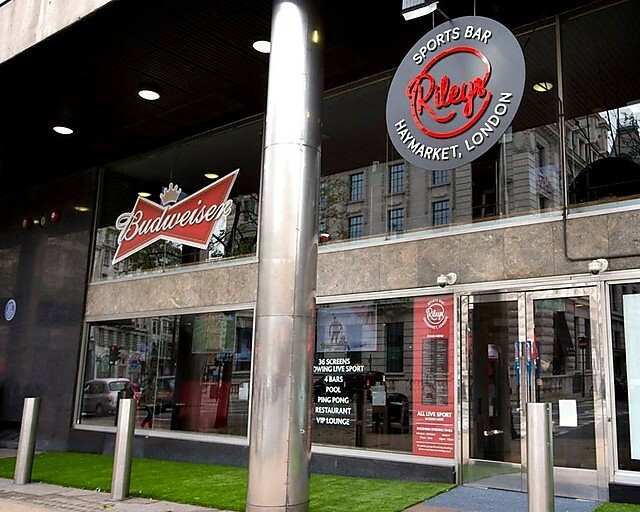 In fact, across the board, Rileys still seemed to be trying to find its feet – floor service was charming if ineffective, while the bar staff bordered on efficiency at times but wouldn’t have smiled for a £100 tip. 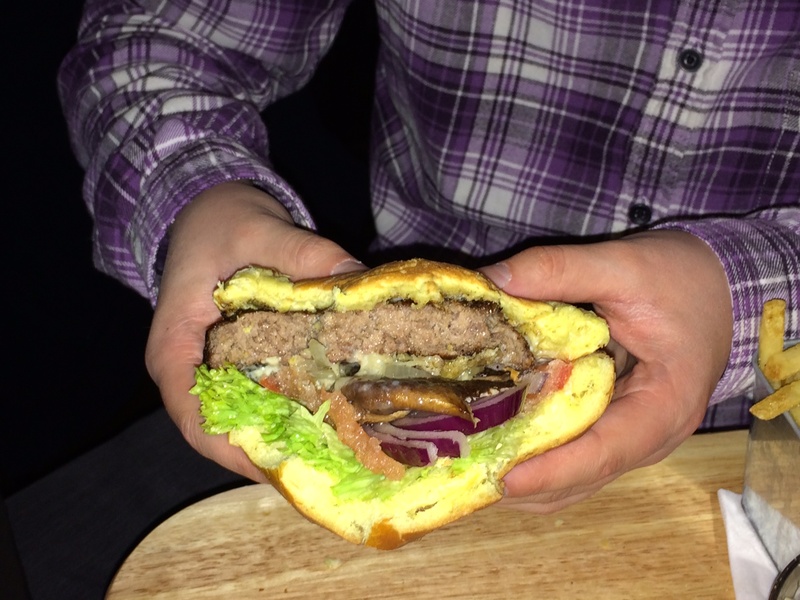 A burger was also sampled on the night and was similarly unappetising – a generic lump of grey mulch stuffed unlovingly between luminescent bread and far too much salad. All that said, London isn’t exactly dripping with bars that will stay open until 6am to indulge the whims of NFL lunatics, so despite all my protestations, I’ll no doubt be back at Rileys at some point to catch a game. But I’ll sure as hell make sure I eat before.